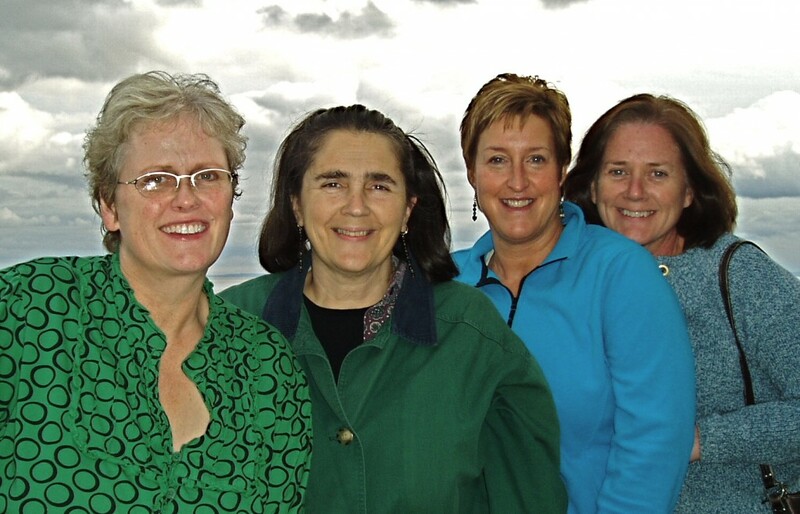 Not long ago the four SAGs headed north for our first retreat together in the almost eight years we’ve been a group. 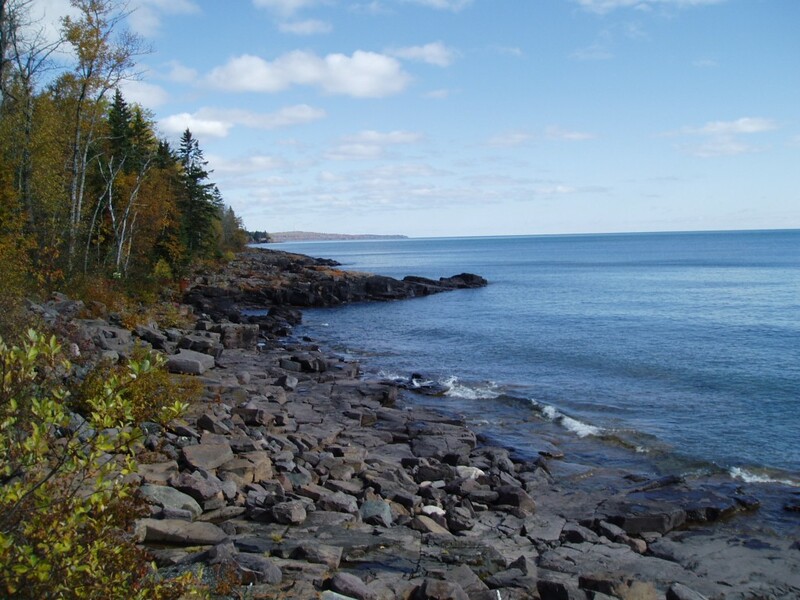 We stayed at a quiet little resort on the north shore of Lake Superior called Stonegate On Superior. 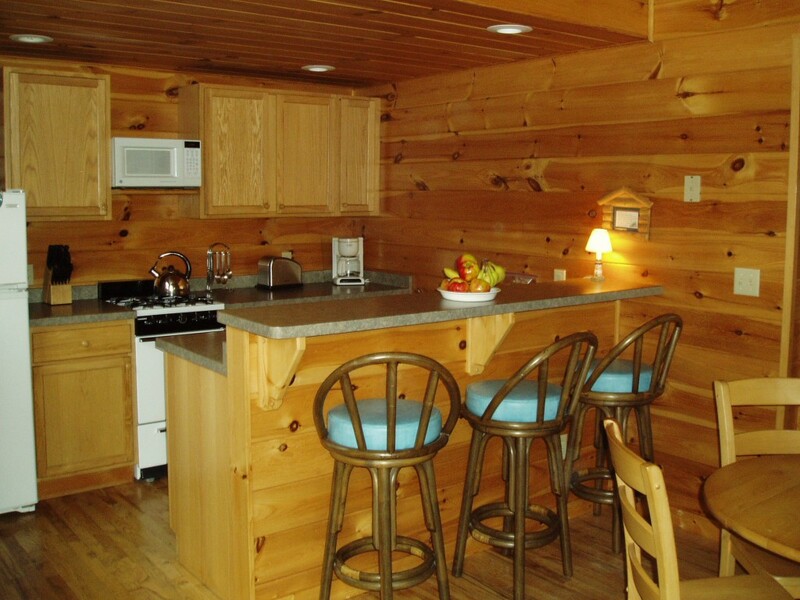 First, the particulars: this photo above is a view of the small but clean kitchen in Cabin 5, where we stayed. 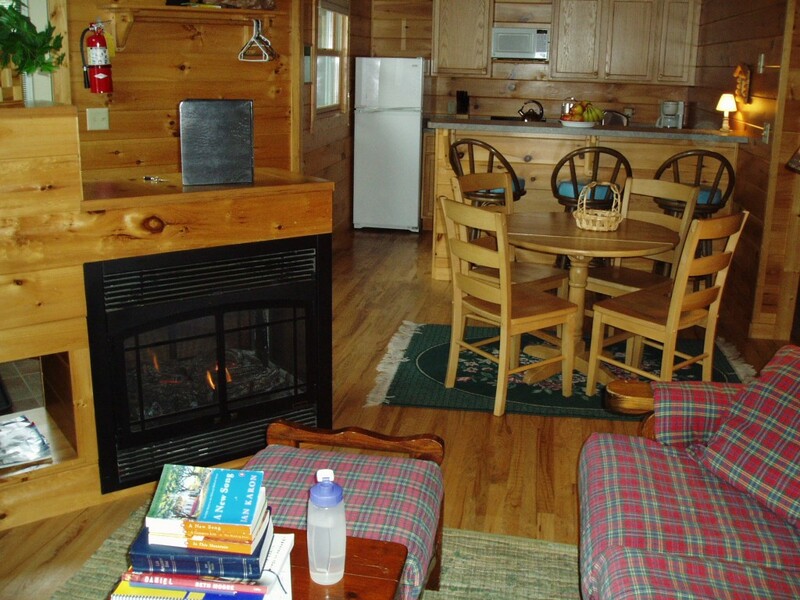 We all agreed that we wanted a fireplace in our cabin, and we wanted to be close to the Lake. Although this fireplace didn’t crackle cozily from a real wood fire, it kept the whole two bedroom cabin warm from a switch on the wall. You can also see the little dining area between the kitchen and the living room. This is a view of one of the bedrooms. Our beds were remarkably comfortable and we could look out of the window and see and hear the Lake, only a stone’s throw away. 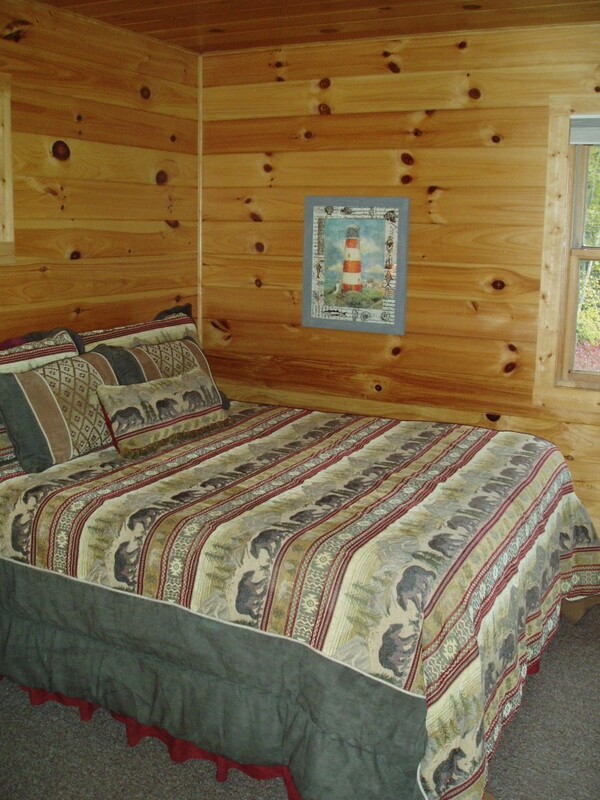 We could also lay in bed at night and hear the teeth and claws of a largish, unknown animal relentlessly gnawing and chomping and scraping on the outside of the cabin. We were too terrified smart to go out in the cold and pitch dark to investigate. The next morning we saw insulation strewn around the ground where the brute had been chewing. 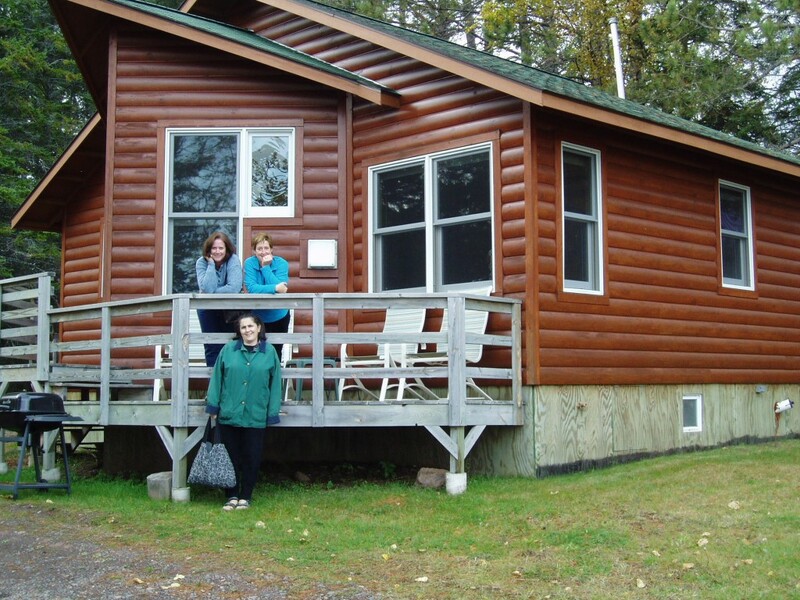 Here are Gail and Pat (on the deck) and Lorna in front of our little cabin on the Lake. This is the shoreline that was just a thirty second walk from our cabin. The Lake changed moods several times while we were there – one night the waves were large enough to sound like the ocean, other times the water was fairly smooth. We also saw wind-blown white caps chopping up the surface and a huge lit up ore boat heading for harbor the last evening we were at Stonegate. I plan to put up more posts about our SAGs weekend over the next few days – you’ll see some food, some goofiness, some games, some wistfulness, some hobbies, and some scenery. For now I’ll leave you with a photo of the four of us. We hadn’t even been there twenty-four hours and already we were looking happy and rested. I love you, Julie. Thanks for being my friend. I love the part of Christ I see because you are in my life. The place was so beautiful and cozy! What a wonderful getaway for you ladies!!! I can’t wait to see more pics and hear more stories!!! Brady knows Gail and will be interested to hear of her accomplishments!!! Good for her!!!! What a wonderful blessing for you and your friends. I am so very glad you were able to take advantage of the opportunity. As with our visit, I am sure the time went by way too rapidly. I can imagine you all sitting at the table and working in the kitchen laughing and enjoying the time together. I too am looking forward to hearing the stories and seeing more photos. A clean and cozy cabin that’s close to the water and four beautiful women bound together in friendship and the love of Christ…………what could be better? Looking forward to reading more about your time there!